Since you did a tribute to the 3rd of June, perhaps you should remember the night Convoy took place. Sad to hear the news. I have been a fan of his for a long time. I remember that Gary Collins and Judy Converse used "Thank You For Being A Friend" to close their morning shows. I always thought that was the perfect song to play for a radio host. "Halloween Party" is also one of my favorite all-time favorite Halloween tunes. Great talent! Lonely Boy! Good song! Andrew mentions "Linda" Ronstadt in this early version, who helped with the hit song, but I don't think with this particular version. Lots of folks still grieving over Andrew's recent unexpected passing. Bob Lefsetz's column ran two EXCELLENT letters that we'd like to share with you. (Thanks, Bob!) First up, Eric Carmen recounts a personal experience ... you may remember that Eric wrote Bob after the passing of Outsiders Founder Tom King recently, too. (Man, I wish we had Eric on OUR list!!! lol) And then another beautiful tribute from Graham Gouldman, who spent time with Andrew in the '80's rock band Wax. (You may remember their 1986 Hit "Right Between The Eyes".) Sign up for the Lefsetz Letter here: Click here: Lefsetz Letter ... all kinds of good stuff here! The first time I heard "You're No Good" on the radio, it catapulted itself right into my "best records of all time" list. It's still there. Aside from the stellar production and engineering by Peter Asher and the great Val Garay, the most astonishing thing to me (when I read the album credits) was that Andrew Gold played the electric piano, electric guitar, drums AND percussion on it! That's pretty much the whole record. I loved the strange amalgam of Marvin Gaye meets The Beatles he created. I really think it's a perfect record. My criteria for that judgement is that I can't think of one single thing about it that could have been better. From the spooky strings and hand-claps, to the brilliant guitar solo (I heard, at first, Linda thought the whole thing was "too Beatle-y") to the individual sounds and the mix, right down to the fade ... not one thing could have been better. I had the pleasure of working with Andrew on my second solo album (He played the guitar solo on "She Did It" and another on "Run Away.") He was a gentleman and a total pro, and I knew when I met him he was like a "brother", in the sense that I knew we listened to all the same records, and loved all the same music. I was shocked and saddened to hear of his passing. Such a great talent, so young. I hope God's got a great vintage Rickenbacker 12-string and a Fender stratocaster (with a great compressor) waiting for him. I lost a dear friend and songwriting partner last week, the singer, songwriter, producer and multinstrumentalist Andrew Gold. He died in his sleep of a heart attack, following years of battling cancer, at the untimely age of fifty nine. I first met Andrew in 1981 when 10cc's US record company, Warner Brothers, recommended him as a co producer and writer, the idea being that 10cc's chances of breaking into the American market would be greatly enhanced by us working with him. That collaboration resulted in three great singles, testament to the fact that the partnership really worked well. In 1982, when Eric Stewart and I decided not to continue working together as 10cc, I called Andrew in L.A. and invited him over to my house in Cheshire to write some songs for a couple of weeks. He stayed for six months. What followed was five glorious years working together as Wax. Although we stopped working under that name in 1988 we continued to write and record together on various projects throughout the nineties. We always kept in touch with each other and were planning to get together again to write and possibly record a new Wax album, which we were both very excited about. Working with Andrew was my happiest musical partnership. He was an awesome talent and it was a pleasure and a privilege to have him both as a friend and to make music with him. Chase Webster had the original version of Moody River out on Southern Sound records in 1961. (He would go on to re-record it in 1970 for the Show Biz label, which was a Dot subsidiary, I believe). He had several other great records on Dot in the meantime and I'm including a couple of my favorites ... my top favorite being I Can't Walk Away. Have you ever covered Joe Bennett on your site? They are from my home town of Spartanburg, South Carolina. They were family friends. Joe played with three of my first cousins in a band before the Sparkletones. I did a story on them a few years back for Discover Record Magazine, the spin off from Goldmine. While in the Air Force, Joe played in a band in Italy backing local musicians with Mickey Hart, the drummer from The Grateful Dead. When they got out, Joe moved out to California to try and start something with Mickey, whose dad owned a music store. Joe didn't like what was going on and re-joined The Air Force. Got this from Wild Wayne. He's trying to confirm report that Earl "Speedo" Carroll, lead singer of the Cadillacs, suffered a massive heart attack. Hope it's not true. We ran a short blurb on this a week or two ago ... it sounds like Earl is not in good health. Listening to my i-pod. Bobby Darin sings "Hello Dolly" & "I've Got Rhythm." Next - Platters, Johnny Maestro, Drifters. Back to Bobby for "Mack The Knife" & "Gyp The Cat". I said to myself that's a good song. I think it would've been a big hit. Kent, could you look into your secret Bobby Darin File, LoL! !, to answer a question for me? Why wasn't "Gyp The Cat" released as the follow up to "Mack The Knife"? I don't think the timing would have worked out, Frank. Bobby co-wrote it but it wasn't copyrighted until '65. As far I know, it wasn't even released on a primary album during his lifetime. By the way, I asked Jamie about the Doc S question ... she says yes. Try Bobbydarin.com ... I think it's listed here. After consulting Ron Smith's book "Eight Days A Week", here's what I found out. June 2, 1972 = Dion reunites with the Belmonts at Richard Nader Oldies Concert. I sent a message to Dion and he answered me. Here's what I said = Yo Dion. I was at Madison Square Garden, for your reunion with the Belmonts in 1972. Can you tell me something about that concert that I don't know? Here's what Dion said = On that night the audience was 1000% better than we were. I KNEW I was in good voice that night. I didn't think Dion could hear me up on the stage. LoL!! “X-Men: First Class,” bringing in over $55 million in its first week of release and the soundtrack includes a 60s smash by rocker Freddy “Boom Boom” Cannon. In addition to touring many weekends throughout the year, Cannon now draws. He has completed pencil drawings of many of his colleagues in the music business. 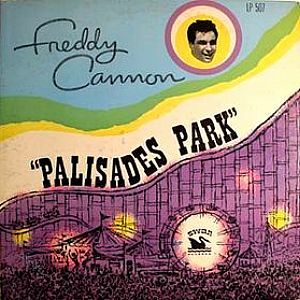 They can be seen at his official website www.freddycannon.com. Unlike in The Wrecking Crew film, featuring studio musicians, (I'm told) there isn't any studio talk! Here, we hear Peter Herman (Noone) doing some studio talk, trying to find the right tempo!!! Good job, ABKCO! Let's keep the ball rollin'! 1964 = Paul McCartney plays at Shea Stadium (home of the Mets) with the Beatles. 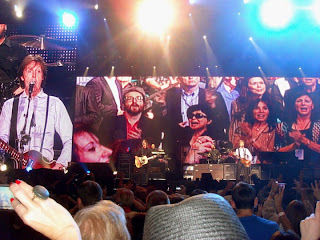 2010 = Sir Paul plays with Billy Joel, last play at Shea. 2011 = Paul McCartney will play at the new Yankee Stadium, July 15. Do you think he just likes Baseball ... or is it the fact that he makes more money at these stadiums? Maybe both ... he's doing two shows here at Wrigley Field, too ... July 31st and August 1st. especially since I like a lot of Mark Wynter's stuff, too! I wonder if Tony knows that his song Tell Tale (which was recorded by the Brook Brothers on Pye records in the UK) was also cut by Anita And Th' So-And-So's (The Anita Kerr Singers) for RCA Victor in the States, which I just happened to notice while going through a random box of 45's. The summer is here and we're making headway with paying off some music licenses. Over the last few months, we've received donations from many individuals as well as various organizations and businesses. Thank you so much to all of you. We still can't release the film on DVD, television or theatrically until we have paid all the licensing for the 133 music cues. That's why we are still accepting donations. The many privates screenings we've had around the country have also allowed us to share the movie with music and documentary fans of all ages. Its great to see people's heads and lips moving and singing along to the music. Each audience is unique and that is what makes it fun for us when we travel with the film. Some people are upset we haven't made it to their area but we are trying our best. If there are folks out there that want to sponsor a trip to your area, please let me know. When the DVD is released it will have out-takes of gems that we couldn't add to the film due to time. Our plan is to have DVD chapters that will include out-takes of Guitarists, Drummers, Pianists, Bassists, Horns, Producers and artists and one of my favorite chapters, The Engineers. If you're interested in more information regarding sponsoring screenings at your local music store, school, recording studio or anywhere where we can get an audience together, let me know. It's a chance to promote your business as well with an event. It's nice to know that amid the insanity and down right meanness that make up so much of this show that someone was able to maintain their integrity and compassion ... I will check it out. Bob Sherwood wrote this little piece about his friend Steve Popovich this afternoon. There are a lot of very exceptional people who contributed massively to the extraordinary success of the golden era of the music business (from the 1960s to the early '90s), but I submit that with the possible exception of Ahmet Ertegun and Bruce Lundvall, there was no one who cared more passionately about his artists and their music than Steve Popovich. If he wasn't the greatest promotion exec who ever lived, you can't make a top 5 list without including his name. When I was still in Top 40 radio it was generally acknowledged that the staff that Tommy Noonan and Ronnie Records put together was the class of the industry and Steve -- albeit lovingly -- drove them like a rented mule. I cared about Columbia Records because of their artists but I also always gave their records an extra listen and evaluation because of Steve's credibility and that of his staff. In 1980, I was running Mercury Records and signed Tom Jones via Jerry Kennedy and our Nashville office because Steve convinced me of his viability in live performances and in the country market. As usual, he was right and we all enjoyed a significant measure of success... which didn't prevent Steve from regularly torturing me as if I was still a Program Director in Sacramento! Since I ultimately worked for Steve, I have a thousand and more memories but I want to pass on one in particular. In early 1973 I was programming WGCL in Cleveland against AM Top 40 legend WIXY 1260 and Metromedia's FM monster WMMS, the Buzzard. I got a call one morning at 3:30, which was about an hour before I normally arose to go to the station and do my air shift. Learning it was a promotion guy -- it was 3:30 in the bloody morning! -- I normally would've slammed the phone down after a string of obscenities and vowed never to speak to the miscreant again. So I halfway listened to his insistence that I had to hear "the greatest record ever recorded" while he trampled all over my need to get some sleep. As I desperately tried to continue making my handsome living in broadcasting, he compelled me to listen. It was Paul Simon's "Kodachrome," and they had just done final mix in the studio. I wound up calling half the people I knew in radio to say that it was an unqualified smash. Whatever came from that, it was all Popovich. Steve will probably arrive at the Pearly Gates at about 3:30 am demanding that Meat Loaf, Frankie Yankovich and David Allan Coe be added to 'A' rotation on KHVN. I wouldn't bet against it! Steve, old friend ... on your travels Northward, the bright light below is the fire from the candles I'm lighting at St. Mary's Church tomorrow. I'm sure the Ridgefield, Connecticut Fire Dep't. has sufficient staff to control the blaze. Four Classic Paul Simon Titles From the 1970s Are Now Available! Columbia / Legacy Recordings announces the first round of releases in the Paul Simon catalog project with definitive editions of four of the artist's essential solo albums -- Paul Simon, There Goes Rhymin' Simon, Paul Simon In Concert: Live Rhymin' and Still Crazy After All These Years -- available everywhere today. The new Columbia / Legacy editions of four classic Paul Simon catalog titles marks the first set of releases since last year's historic licensing agreement between the artist and Sony Music Entertainment brought Simon's entire catalog of recordings together under the one roof for the first time since the 1970s. Loved your article on Sha-Na-Na -- sounds like a GREAT way to spend an evening. I didn't realize that they were still performing together so once again, thanks for keeping us informed. I can't think of another band who has done more to help keep the music of the '50's alive than Sha-Na-Na. I used to love their TV show and you're right on the money about Sha-Na-Na introducing this music to a whole new generation of rock and roll oldies fans. As much fun as they were to watch, they still treated this music with the utmost respect. During the 70s, I saw Sha Na Na on three separate occasions. I was totally into 50s music then and the highlight was always Bowser doing Blue Moon. One time Andy Kaufman opened for them and another time it was Muddy Waters. The new JC Dobbs music documentary, along with George Manney's first documentary, "Pipes of Peace" ... the Rufus Harley Story, were accepted by Howard Kramer, Rock & Roll Hall of Fame Curatorial Director. Howard visited Manney's collection on Friday June 3rd for two hours, took some photos along with the above DVD's. Kramer also request that George mail him the updated-latest version of "Philly Pop Music, The Lost Pioneers" doc to be included in the Rock & Roll Hall of Fame, Library & Archives. The Rock and Roll Hall of Fame and Museum’s Library and Archives will be the world’s most comprehensive repository of written and audiovisual materials relating to the history of rock and roll. The Library and Archives will collect, preserve, and provide access to these resources in order to educate people about rock and roll, its roots, and its impact on society. In early 2012, the Library and Archives will open its doors and begin serving the needs of scholars, educators, students, the media, and the general public. Once again, Manney turned to his passion for music, and his deep love for Philadelphia and its rich, multifaceted music scene. He hatched a plan: To go around with his video camera and talk to as many Philly music figures as he could find. Musicians, producers, engineers and songwriters, from the legendary to the forgotten. Radio DJs, bouncers, bartenders, others involved in the scene, past and present. Anyone who’d tell him their stories before they, too, were gone. And then he’d combine that footage with his vast collection to create an epic film — the ultimate documentary about Philadelphia’s music history. It became his new obsession. And his new Meet Me on South Street — an hour-long look at J.C. Dobbs that’s packed with great music, interviews and archival goodies—screens at the Franklin Institute on June 23 as part of the Philadelphia Independent Film Festival. PS > Yes, Debe and I are going ... As observers, and critics ONLY. NASA Astronaut Michael Fossum, on his way to the International Space Station aboard the Russian Soyuz TMA-02M spacecraft from the Baikonur Cosmodrome in Kazakhastan, is treating his fellow astronauts and cosmonauts aboard the mission to a very appropriate sneak preview of a track that is slated to be in part of ZZ Top’s, as yet untitled, forthcoming album. The reference obviously resonates with Astronaut Fossum regarding Soyuz trajectory and docking at the International Space Station. 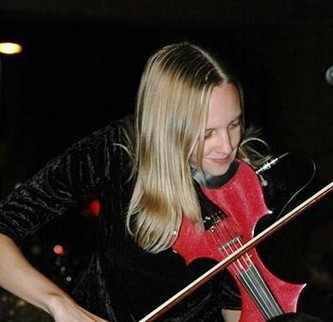 At 120 beats-per-minute, the song should keep the crew energized during the flight. During the course of his mission aboard the Space Shuttle Discovery, Fossum played the band’s hit “Got Me Under Pressure,” a reference to the raising of cabin pressures during the course of that 2008 flight. Astronaut Fossum is joined on the latest Soyuz-ISS mission by Russian cosmonaut Segei Volkov and Satoshi Furukawa of Japan’s JAXA space agency. Click here: Forgotten Hits: We're Going To See The Beatles! Received my copy of Ron Smith's "Eight Days A Week: Births, Deaths and Events Each Day In Oldies History" book and all I can say is WOW! The amount of rock and roll history in the book is outstanding. Kudos to Mr. Smith for bringing it all together. It surely is a must have for all rock and roll fans. Thank you and Ron Smith for keeping the music of our generation alive and well!!! P.S. Gary Puckett, Jim Seals and I share the same birthday. How cool is that? I just found this early Kalin Twins video on You Tube. Ye Gads ... were we all really this young once? You could never get away with presenting a demo like this today - just one guitar, Jack Reardon (my co-writer) and I singing once through; no instrumental and no turnaround. It's almost as though we were saying, "Here's our song. Like it or leave it." it in the FH newsletter. Many years ago in our local paper, such news would be printed but somewhere in the back portion of the paper. it once more. To be honest with you, I liked Al Brown's version just a little bit better. Also in 1960 ... and also on Columbia records ... Ray Bryant had an instrumental called LITTLE SUSIE (Part I). However, on the flip side, it was called LITTLE SUSIE (Part III). What became of or was there ever a Part II?. Was it a record misprint? Don't know! Maybe Linda Laurie could help us! Debbie Reynolds had a record that made the local survey here called SATISFIED - PART II. The flip was an entirely different song. What became of SATISFIED - PART I? This, I believe, was a cover version of a song put out by a group called the Cashmeres. Thanks for the kind words about Forgotten Hits. For the most up-to-the-minute oldies news, may we suggest Ron Smith's oldiesmusic.com website ... ALL of the rock headlines make it there. And, with your affection for this music, you have GOT to pick up a copy of Ron's book "Eight Days A Week: Births, Deaths And Events Each Day In Oldies History" ... it is a MUST HAVE for an oldies enthusiast! As for "Train Keep A Rolling" and "I Put A Spell On You", I checked Joel Whitburn's latest edition of "Top Pop Singles", neither record ever charted OR was certified gold ... but I'm sure somebody on the list can confirm this for sure via the official RIAA website. Finally, Ray Bryant's version of "The Madison Time" competed with Al Brown's version back in the Spring of 1960. According to both Billboard and Cash Box Magazine, Al Brown's version fared slightly better, peaking at #14 nationally compared to Bryant's #25 showing. I haven't heard it in a very long time. It made me miss my Dad. I don't check every day so you may have already done this - but I never hear it anywhere. I don't recall the audio mix being this clean. It's very well done. Thanks for spotlighting Tomorrow by the Strawberry Alarm Clock as a forgotten hit. I remember a few years ago, I heard Scott Shannon play Incense And Peppermints and he referred to it as a One Hit Wonder. Even my wife, who is not into this stuff as we are, knew that was wrong. It was good seeing you post a FH that crossed over from the country charts to the pop charts. taught English in highschool at the time, I AIN'T NEVER covered by the 4 Preps). I am looking forward to Sunday's Comments. Just the other night one of our listeners requested a song and in the very same breath mentioned to me you have the coolest oldest site. I agree! Keep up the great work, Kent!